Stocktaking seems to be a dreaded task that many companies despise doing but have to for auditing and accounting purposes. It takes a long time and all the staff from the Managing Director to the cleaner are called upon to get in there and help count the stock. While some of the guidelines below will help improve a manual stocktake, the greatest improvement will be if you use mobile computers to capture the data as well. These comments assume that you will use mobile computers to scan your bin locations and products during a stocktake. Step 1 - Get your warehouse into shape! There are several things you can do here to help make stocktaking for your staff easier. If you have a bin location numbering system that is fantastic since it will help you work out who counted what, where and when! If they are not barcoded, get some labels printed. Simply send us a list of bin locations in Excel or CSV format and we can print them for you. Click here for more information. If you don't have a bin location numbering system in place, then we suggest you invent one to suit the layout of your warehouse or store. For ideas on how to do this, click here. Weeks before your stocktake is due to start go around and get the place tidy and organised. This means checking each bin location and trying to group the same product together. Any open boxes lying on the floor should be placed into a bin location if possible. If you keep different products in the same bin location try to line them up so it is obvious for non-warehouse staff. Your goal is to have each item counted once per bin to reduce the chance of error, double counting or missing the item completely. Loose or open cartons or packages in bulk should be moved to the pick face. Bulk can be pre-counted and a label generated with a barcode for the part number and quantity. This will make data capture very quick if the pallet hasn't been touched since it was checked. If product had been taken out the Operator should have generated a new label or crossed out the quantity and written the new count on the label. Either way, the person stocktaking simply scans the bin location, the part number and then scans or keys in the count. Check that each product is clearly marked with your part number and a description. 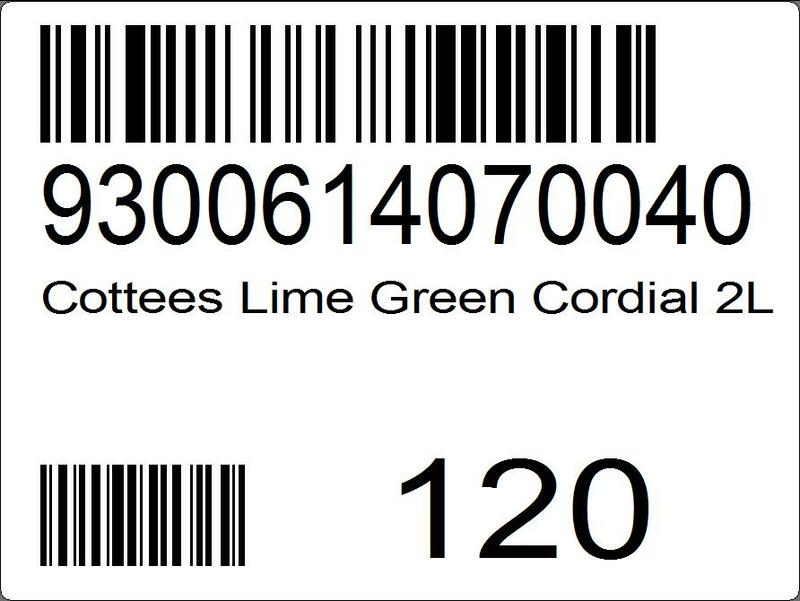 If the product does not have a barcode you can print your own barcode labels. You do not have to apply a sticker to each and every product, but at least one in that bin location. If there is a barcode and it is your Supplier's barcode number you can scan that if you create a cross reference table. Using 'Stocktakes Online' (STO) which is our SaaS (Software As A Service) solution you can record Supplier barcodes against your part numbers as well as print labels to mobile or desktop printers. Using mobile printers means you can label items, cartons or pallets while standing in front of them saving you time from having to walk backwards and forwards to get labels from the office. To watch some videos on how to use mobile computers and barcode label printers to complete this task click on the button below. The goal of your stocktake is to count everything within your warehouse or store as quickly and as accurately as possible. The sooner it is done you can return to the most important part of your business which is shipping out customer orders. Give each staff member an area to complete. Ask them to work in a systematic manner starting from one end and moving towards the other. If staff need to take a break they should complete the bin location and log out of the mobile application and place the device into a charger. It is important to make sure non-warehouse staff are given training and the proper safety equipment prior to entering your warehouse especially if you have forklifts. Staff can easily get distracted working on a mobile computer and not watch where they are going. In either case they should report the problem to the Supervisor who can add the details to the STO database via the web application in real time. Out of range RF (radio frequency) issues should not happen since prior to the stocktake testing for the coverage area should have been done. 1. Make sure your products are easy for your staff to identify. If applying your own labels with barcodes is required, then do it well before the stocktake starts. 2. Barcodes for your bin locations speeds up data capture. 3. Organise your shelves, bulk and other areas so that products are easy to count. 4. Clean up the isles so that forklifts and scissor lifts can get down the isle without damaging your stock. 5. Organise and train your staff days in advance. Don't train them at 6:55am in the morning five minutes before you want to start counting. Well trained staff are more efficient and confident so organise a practice run for them to get familiar with the mobile computers and how to edit and delete mistakes.